CARACAS: Venezuela’s opposition faces a weak adversary in an upcoming presidential election in the form of unpopular President Nicolas Maduro, but it must overcome the more formidable challenge of abstention in its own ranks. Maduro’s approval ratings are languishing at around 20 per cent in a country that was once a byword in South America for oil-financed opulence but now faces a collapsing economy, runaway inflation, and rising malnutrition. 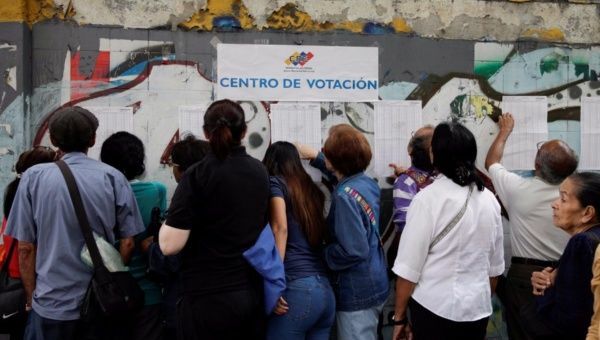 Yet voter motivation is diminishing due to concerns about fraud, mistrust of the electoral authority and weak opposition candidates, who may help Maduro clinch a second six-year term. But sceptics insist that the electoral council is in the pocket of the ruling Socialists and is likely to alter the results of the vote. “I wouldn’t want to go out and vote for the opposition only to have the results show my vote went to the government,” said Manuel Melo, a 21-year-old graphic designer who lost a kidney in 2017 after being hit by water cannon during a protest. Many insisted that participating in the election was legitimising Maduro’s government following what they said was a power grab with the creation of an all-powerful legislature called the Constitutional Assembly in a July ballot boycotted by the opposition.